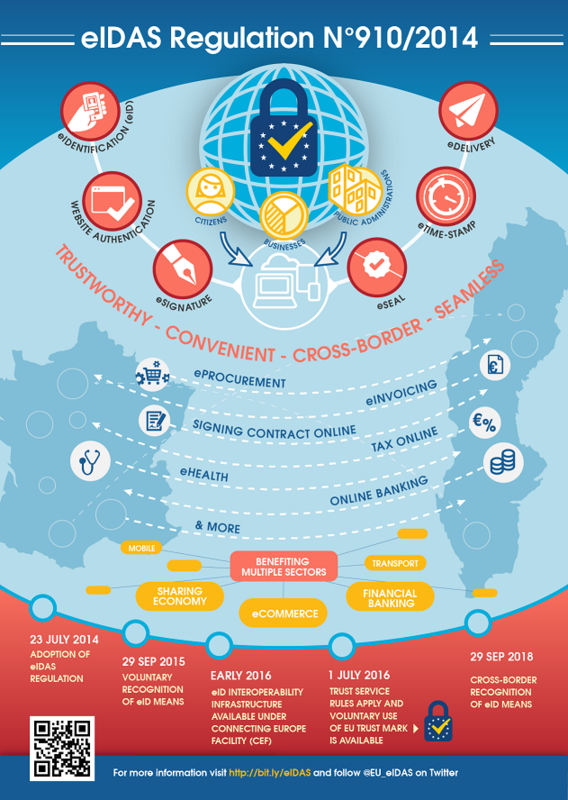 eIDAS is an abbreviation for electronic Identification (eID), Authentication and Trust Services. The aim of the eIDAS Regulation is to establish a framework which ensure that electronic interactions between businesses are safer, faster and more efficient, no matter the European country they take place in. An European regulation giving one single framework for eID and trust services, makes it more straightforward to deliver services across the European Union. Electronic identification and Trust Services, such as eSignature, eTimestamp and eSeal, can help ensure that your cross-border business operations are safer and more efficient.